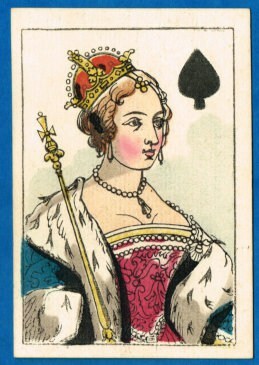 The Duty Ace of Spades is of the ‘Old Frizzle’ variety and bears the name S & J Fuller and [ Duty ] ONE SHILLING. 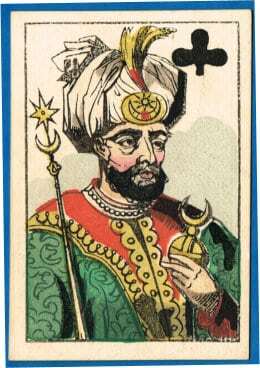 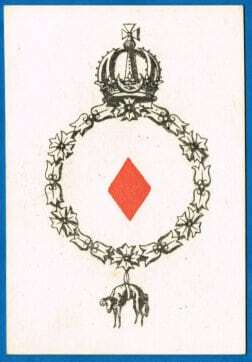 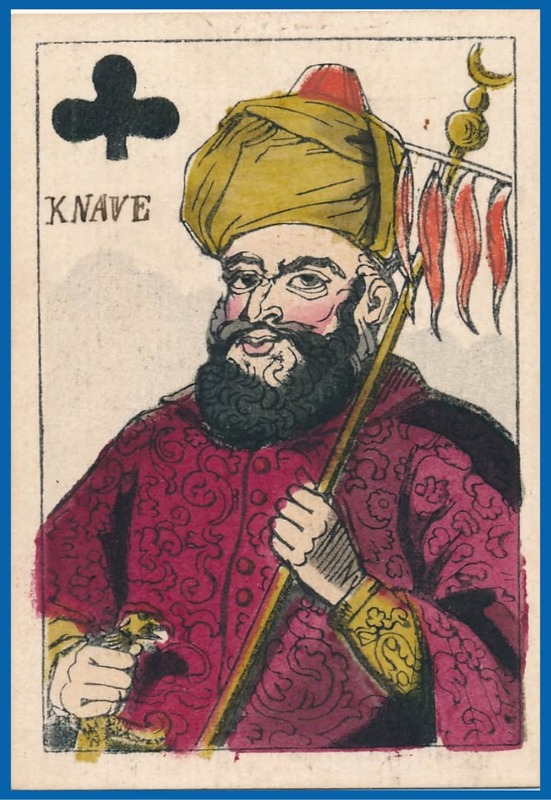 The other Aces are decorated with Royal Insignia and the Ace of Clubs bears the publishers name. 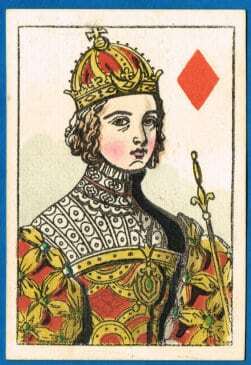 They have a plain green back and are in a near mint condition. 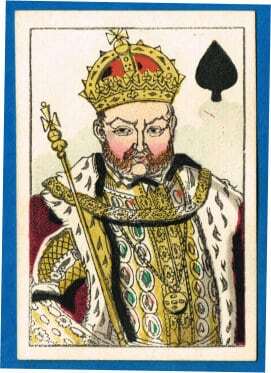 [ These cards had been stored in a Georgian games box and whilst never having been played with they have obviously not been exposed to light either as there is no ‘tale tale’ dulling of the colours ]. 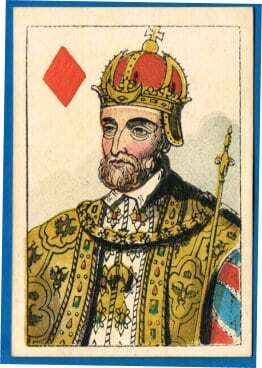 The cards are printed from wood cuts outline and stencil coloured. 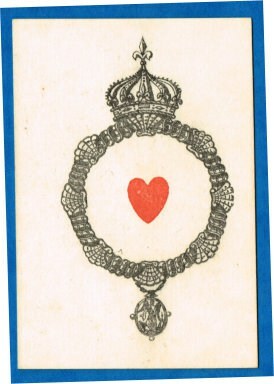 Hearts – King – Francis I, Queen – Eleonora of Portugal, Jack – Cardinal du Bellay. 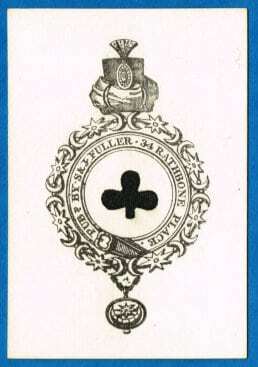 Diamonds – King – Emperor Charles the Fifth, Queen – Isabella, Jack – Cardinal Adrian: later Pope. 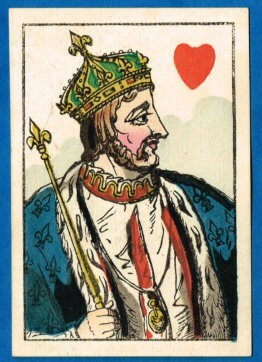 Clubs – King – Solyman the Magnificent, Queen – Roxalana, Jack – Barbarossa. 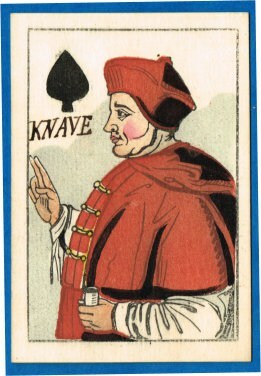 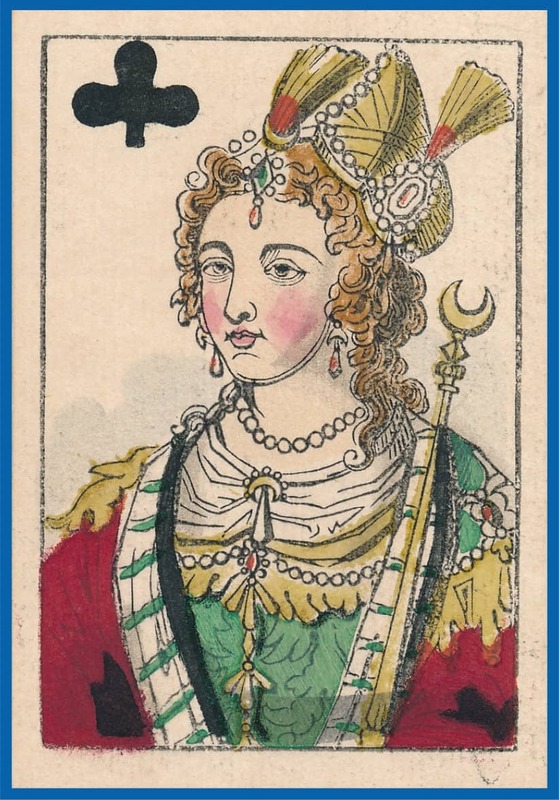 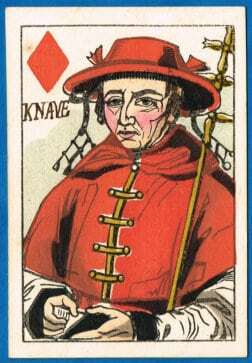 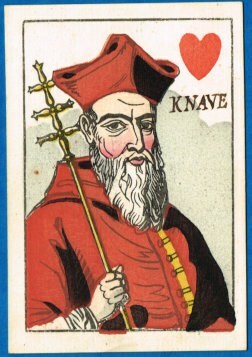 Spades – King – Henry VIII, Queen – Anne Bullen, Jack – Cardinal Wolsey. 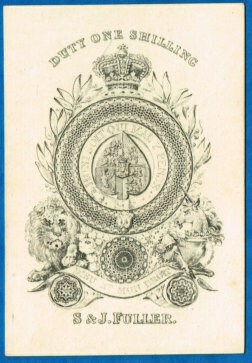 These cards we would classify as scarce, especially so in this condition. 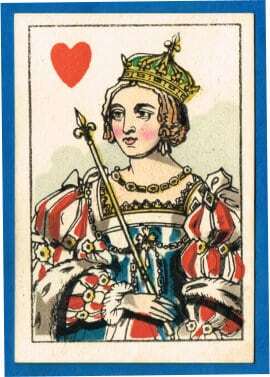 Ref: John Berry – The Collection of the Worshipful Company of Makers of Playing Cards.